A little conversion just for fun, always loved Mike Mignolas Screw-On-Head comics and this guy here was inspired by the undead soldiers of Emperor Zombie. 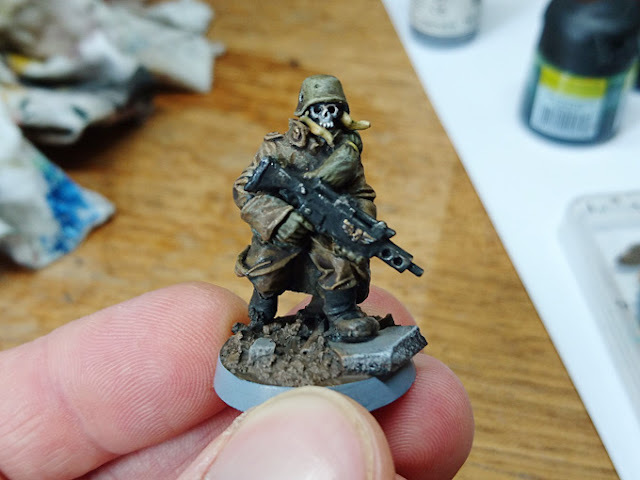 I am thinking about a small IG killteam of those guys or a necromunda gang. Time will tell.